Get all the building supplies you need to build, paint and seal your cool car. 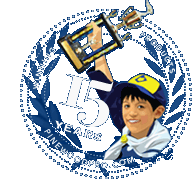 Gouges and nicks are no fear when Pinewood Derby Wood Filler is around. Fix cutting mistakes with a wood filler, smooth your car with sandpaper, and then seal the wood with a wood primer. Every car needs a cool paint job. Our one set of paint gives you six different colors, or mix the colors, like blue and yellow, if you want green, or red and white, if you want pink, etc. Get all the building supplies you need to build, paint and seal your cool car.